Cyprus moved to the back of the news cycle as far as importance is concerned. I am just receiving an update on a report from my personal assistant that covers Cyprus and their move to legalize casinos in order to boost economic activity in the tourism as well as gambling sector. We have advised our clients to move their funds out of Cyprus at the end of last year which left us with minor exposure to the Cyprus financial drama. Dumb money regulators blame the Cypriot government for allowing Russian oligarchs to bank in Cyprus and due as they please. A rather idiotic point of view as expected. The EU is angered over Cyprus as they have seized business opportunities which were presented in a large part by the wealth of Russia which is perfectly fine. In retrospect other EU members secretly wish they could cater more to Russia and ride and take advantage of the economic tidal wave Russia creates. The situation in Cyprus is less than stellar and after engaging into several unfavorable moves forced onto them by Germany in order to secure a financial bailout Cyprus is about to piss of the EU all over again. Cyprus struggles to raise money in order to free them from the German gridlock and now they turn to the gambling industry. Cyprus has requested a study and review in how a casino resort may boost their economy and expect the results in a matter of weeks. Cyprus already established them as an offshore forex broker haven with a business friendly approach, tax friendly policy and a regulatory system which functions as part of the EU. 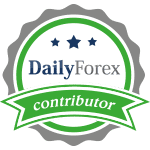 Plenty of forex brokers are domiciled there and operate retail forex operations from within Cyprus which offered a great mix of being a member of the EU as well as Eurozone, but were able to distance them from the Franco-German anti-business as well as socialistic economic approach. This explains why wealthy individuals favored Cyprus which build up its banking as well as financial industry as a direct result of it. Yes, they made some terrible mistakes which shows that dumb money advisers were at work and if Cyprus could do it all over again with a smart money approach they could create an offshore financial powerhouse. Since the trust has been broken, Malta has now a much better chance to achieve that if they decide to learn from the Cypriot mistakes. They Cypriot economy is predicted to contract by 13% over the next 24 months as their financial industry collapsed as they imposed a tax on deposits above €100,000. Tourism makes up almost one-fifth of all economic activity which makes it a crucial part for improvement as well as investment. 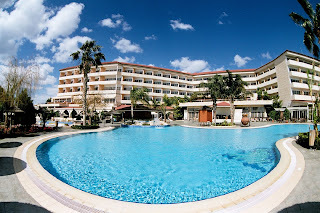 Russian investors are pulling out of Cyprus, but do flock there for vacations as it is very easy to reach and has plenty of sunny days which makes it a great location to take a break from money making and wealth building. Russian visitors to Russia, yes that includes some of the most beautiful women mankind has created, rose 15% in April from year ago levels and now Cyprus is making a play for a casino resort in order to get Russian as well as all other tourists to gamble. This is particularly attractive for Russian tourists as Russia outlawed basically all casinos in 2009. On top of that the average Russian gambler wagers $170 per person which compares to $82 for the rest of the world. This shows that despite the bailout, Cyprus top priority is its positive relationship with Russia which is the only sensible solution for Cyprus. I am very pleased with the developments out of Cyprus and we are set to have a conference call with officials there in order to offer our assistance for a casino resort and the creation of a regulated casino industry in Cyprus.